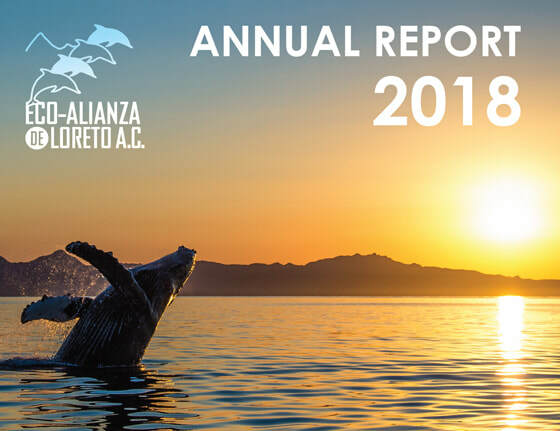 The ecological e-newsletter of Eco-Alianza de Loreto, A.C.
Eco-Alianza de Loreto's mission is to protect and conserve the natural and cultural environment by empowering civil society and government to jointly create healthy and prosperous communities. Our vision is that communities believe their quality of life is related to the health and vitality of the environment and citizens act accordingly. 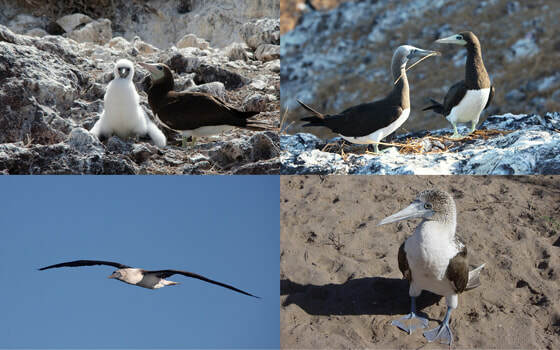 Plan to be at Eco-Alianza's CenCoMA headquarters on Thursday at 5 p.m., as Marine Biologist Christian Raúl Torres Romero recounts details of his six research trips to the Biosphere Reserve of Isla Guadalupe, 220 miles southwest of Ensenada. Now a licensed marine biologist, Christian participated in research on Cuvier's Beaked Whales and other cetaceans as a volunteer and field technician for the UABCS Program of Marine Mammal Research and the Interdisciplinary Institute of Sciences. He now works as a field instructor and environmental educator for nonprofit organizations in La Paz. Over two evenings, Eco-Alianza's second annual One Ocean Film Festival will celebrate and enhance our connection to the oceans with four feature films, several shorts, and brief comments by individuals involved in creating the films. While watching the films beneath the stars in CenCoMA's outdoor courtyard, you'll enjoy free popcorn, with drinks and other concessions available. Each film will be presented bilingually (either in English with Spanish subtitles or in Spanish with English subtitles). 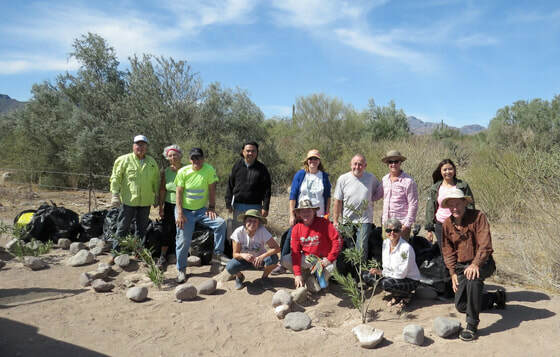 Eco-Alianza’s Volunteer Task Force will team up with the Nopoló Association of Property Owners as well as Loreto Bay homeowners for a highway litter clean-up the morning of March 7. No need to sign up in advance – just show up at 8 a.m. at the big orange Fonatur sculpture at the north entrance to Loreto Bay. Wear sturdy shoes, brightly colored clothing, a hat, and sturdy gloves if you have them. 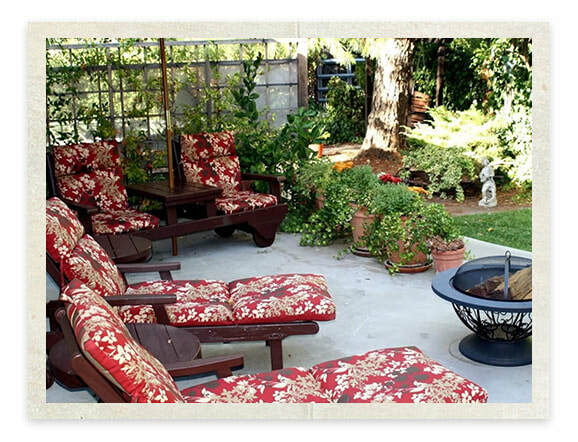 Feel free to bring a drink or a snack – we do take breaks, and we will be finished before 11. 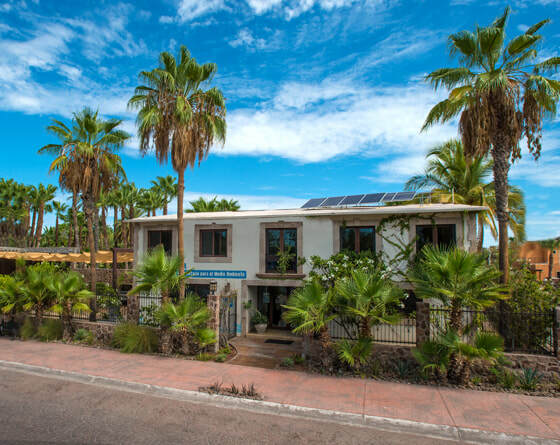 Eco-Alianza staff members will present a program at 2:30 p.m. on Wednesday, March 27, in Loreto Bay's newly refurbished Community Center. 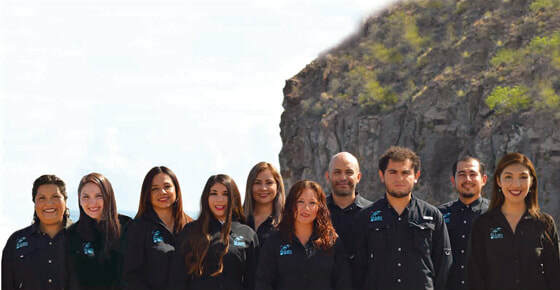 Topics will include current and developing Eco-Alianza programs including local and regional environmental education, Coastkeeper water testing, cooperative programs with the Bay of Loreto National Park, marine and coastal conservation, solid waste management, and more. "Nature Notes" is a monthly short feature detailing some of the wondrous, seasonal activities taking place around us. Please click here to view larger. 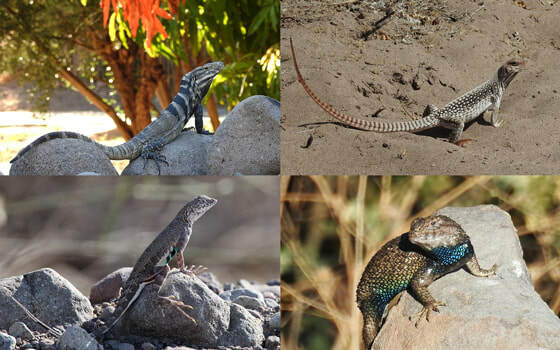 Ahh, basking in the sun, many of us enjoy it, including these four fairly common local reptiles. They are completely out of sight when it’s too cold for them to get cranked up for action because they cannot regulate their own body temperatures. They wait until the weather warms enough for them to perk up and venture out, usually in the spring. Then they start doing some serious basking to get even warmer. Along about March we start seeing them in midmorning taking on some rays, sprawled on sand, rocks, or tree trunks and limbs. Heated up, they then begin their day of hunting for food. The four discussed here are all omnivorous at least to some degree. You may see them in your yard, or when walking, cycling, or driving; in town and out. Sightings aren’t rare if you look for them. 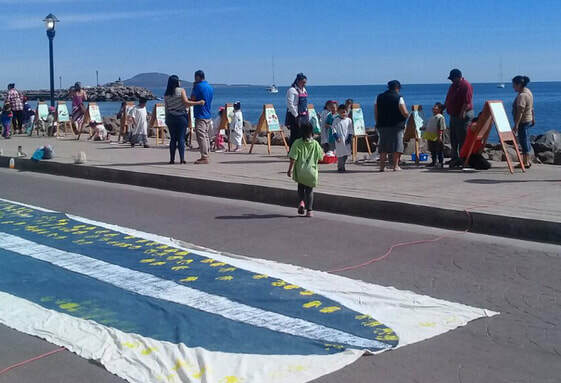 Young artists on the Malecon got an idea of a Blue Whale’s size during last year’s festival. Both the English and Spanish editions of our 2018 Annual Report, featuring beautiful photography by Rick Jackson, are now available. Click the link below or check your Inbox shortly, and please join us in celebrating all the impactful programs that Eco-Alianza has developed, with the help of folks like you! Feel free to forward the Annual Report to a friend, and thank you for your support. 2019 Calendars Almost Sold Out – Now Half Price! 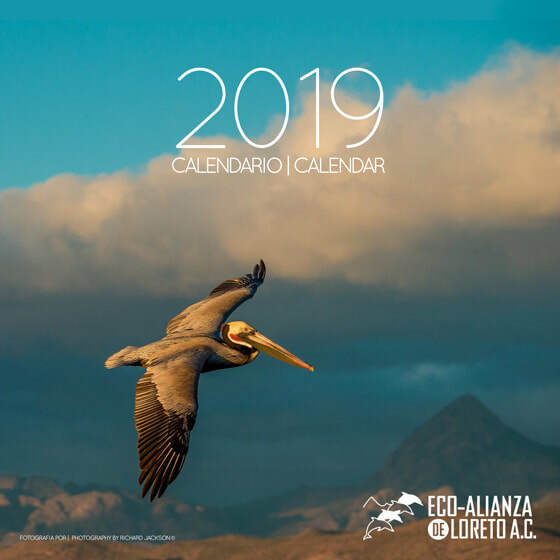 ​This is your last chance to get Eco-Alianza’s beautiful 2019 calendar, featuring stunning wildlife photography by Richard Jackson. Stores around town have dwindling supplies, now available at half price.